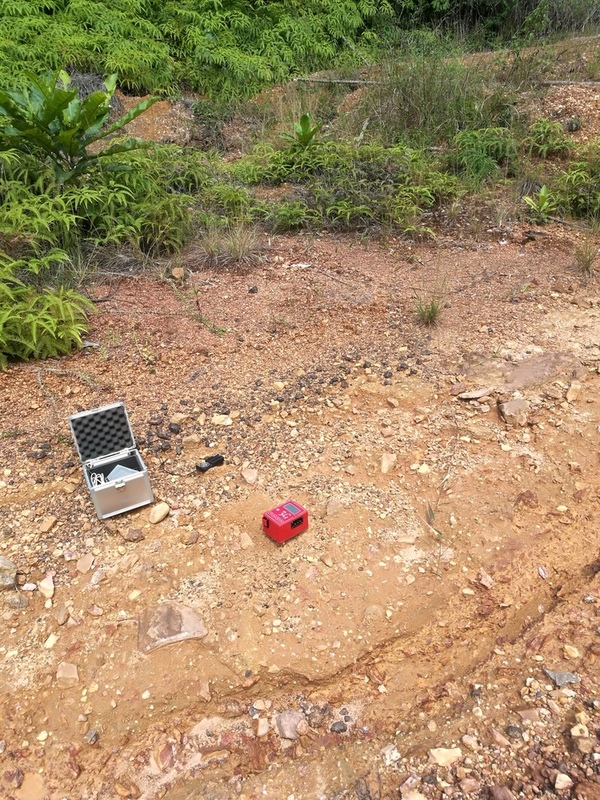 ESAC: geophones have been arranged in an L-shaped path. 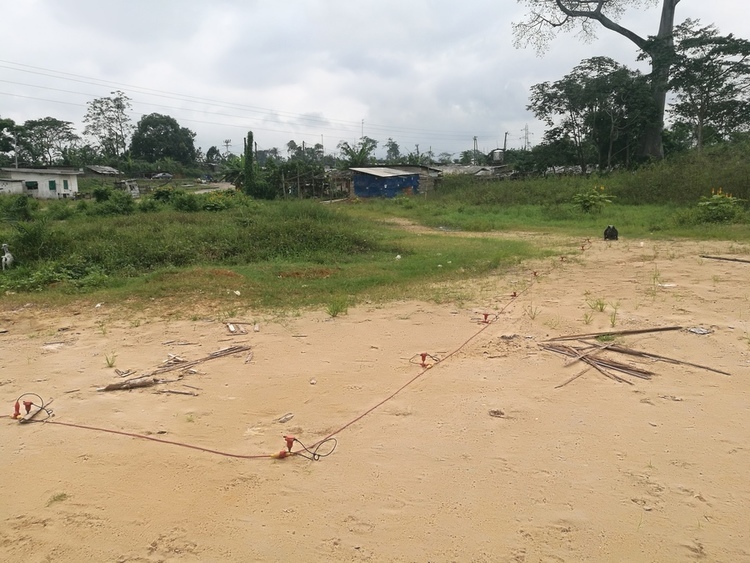 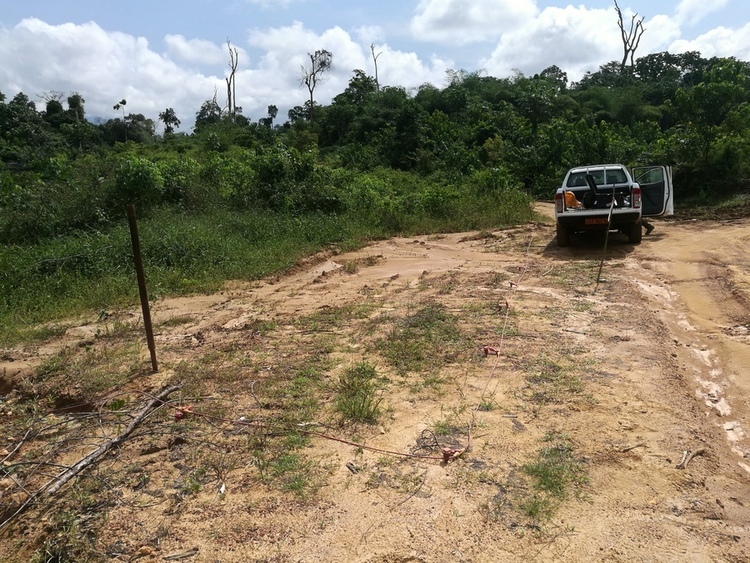 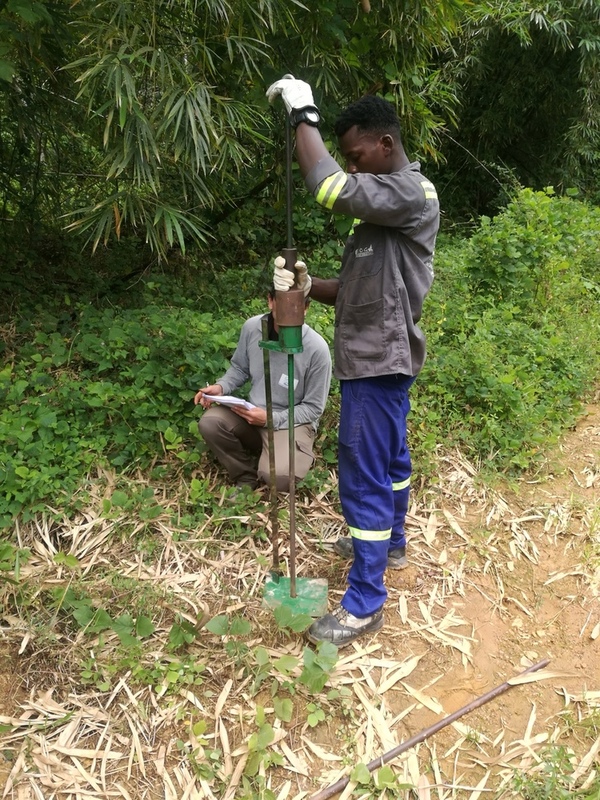 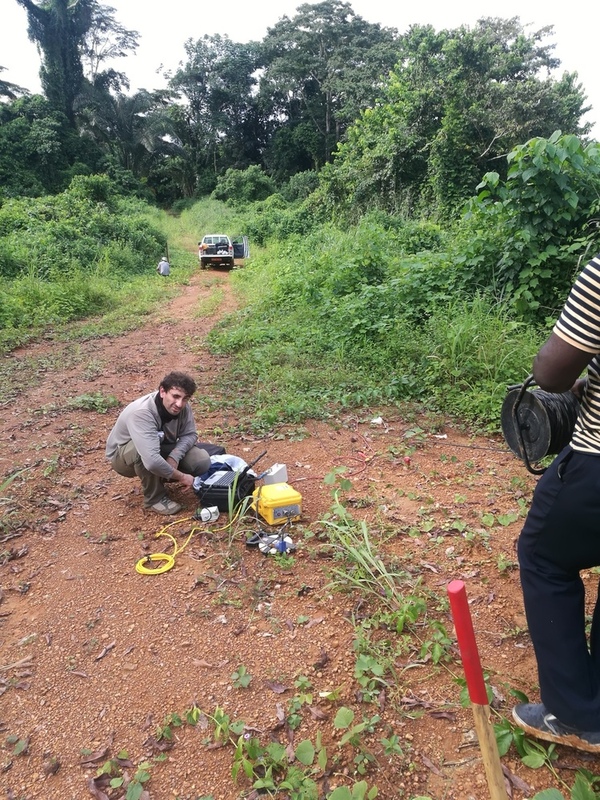 Our company performed preliminary geophysical surveys for the engineering design of two railway spurs in the Republic of Cameroon: the Édéa-Kirbi-Campo (South) and the Douala-Limbé-Idenau (South-West) tracks, that will help to link the main cities of this Country. 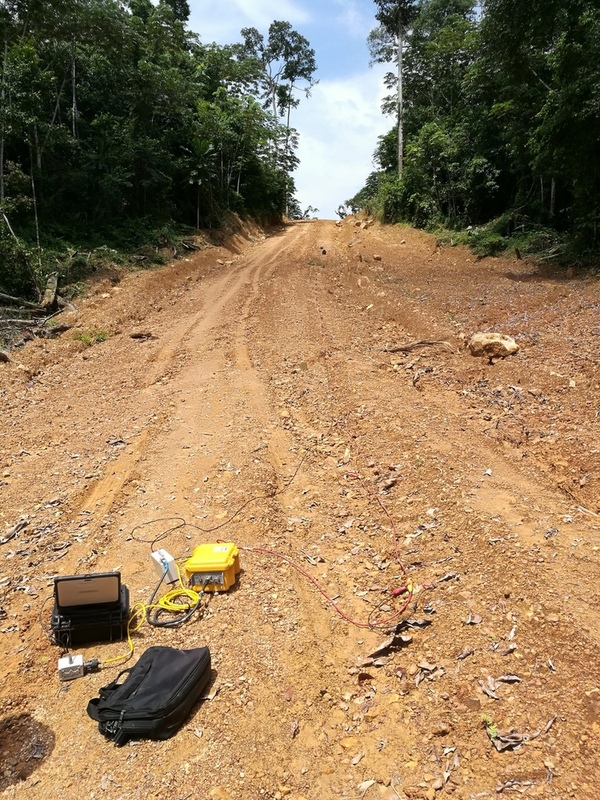 We characterized under both the geophysical and geotechnical aspect of the terrain on the designed track for the railway through laboratory and on-site tests such as MASW, ESAC, ReMi, Seismic Refraction Tomography (P waves), HVSR, penetrometric tests and DCP. 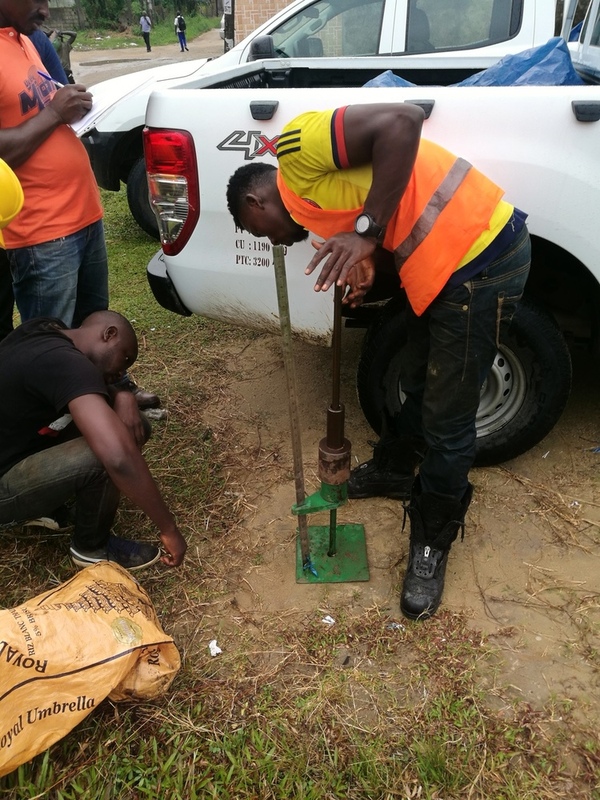 Part of on-site geophysical survey activity was performed during the first half of November 2018. 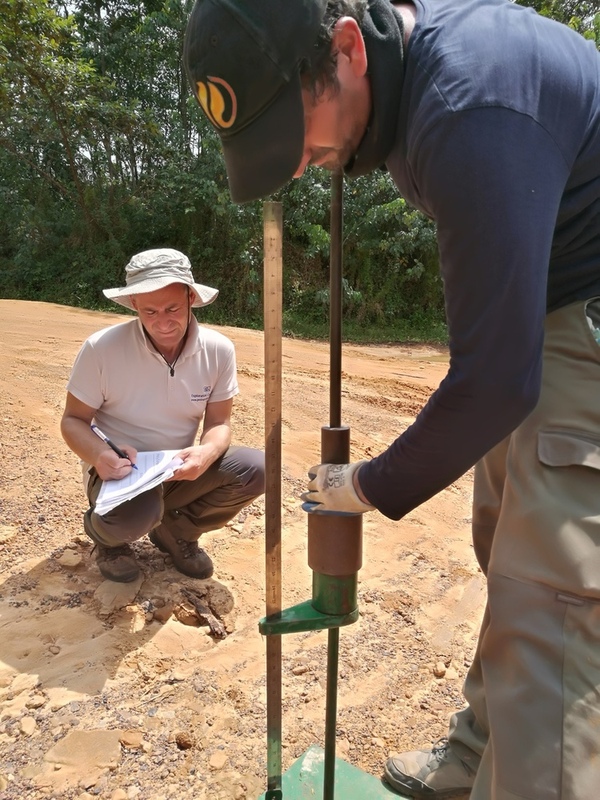 Finally, we were able to supply the full geological profile for both the rail spurs, a result coming from of a careful and detailed work of documentation and geological survey of the areas.